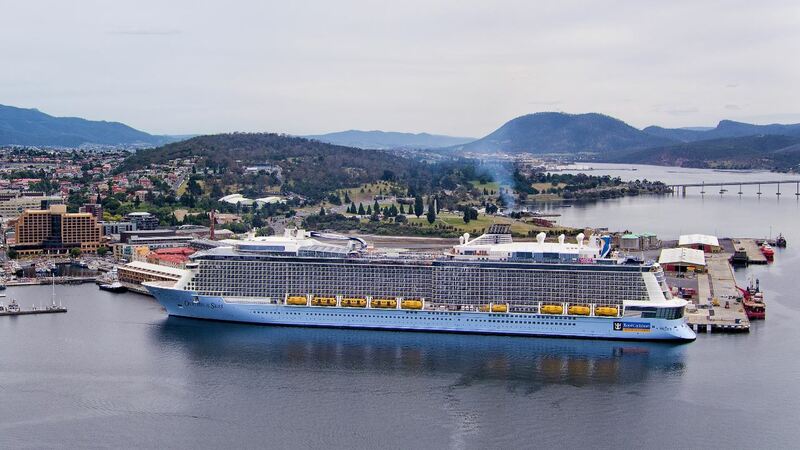 Royal Caribbean has unveiled its full roster of 2018-19 China, Singapore and Australia itineraries. 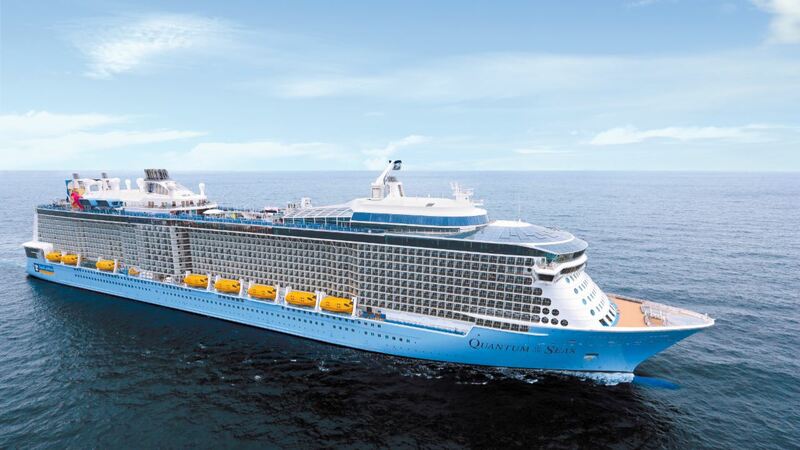 As part of the new deployment schedule Mariner of the Seas will sail a “Global Odyssey” from Asia, featuring three long sailings from Singapore to Dubai, Dubai to Barcelona and Barcelona to Miami, before repositioning in her new home in Miami, Florida. 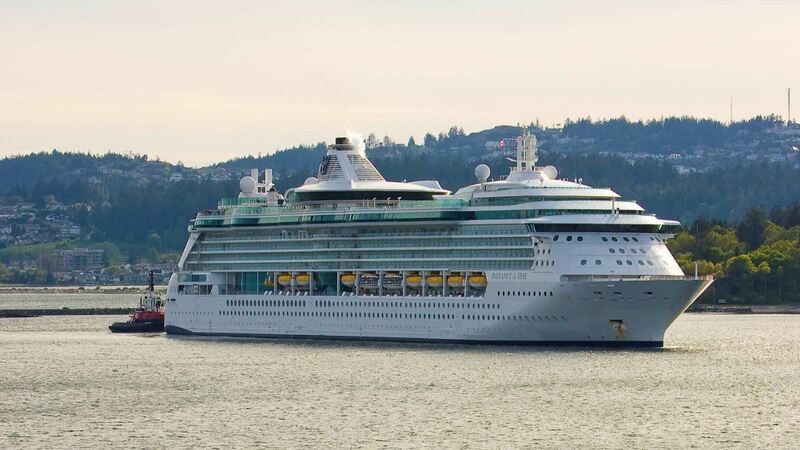 Voyager of the Seas will have her first full season in Singapore and Radiance of the Seas will offer more open-jaw itineraries between Auckland, New Zealand and Melbourne or Sydney, Australia. 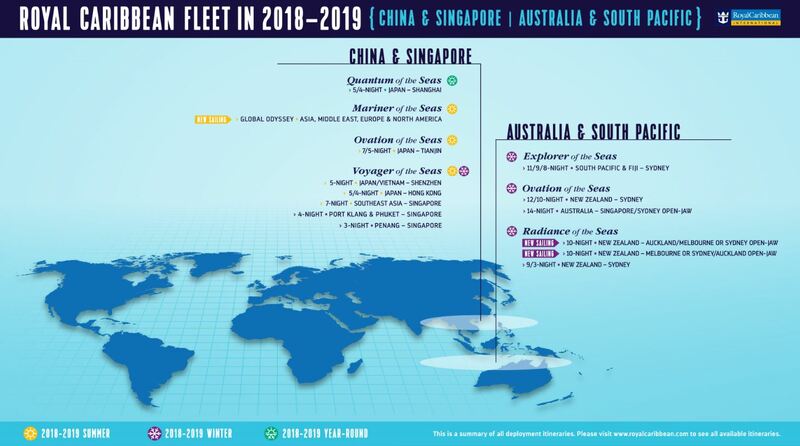 Finally during the winter, Ovation of the Seas will reposition to Sydney reclaiming the title as the largest ship based in the region. 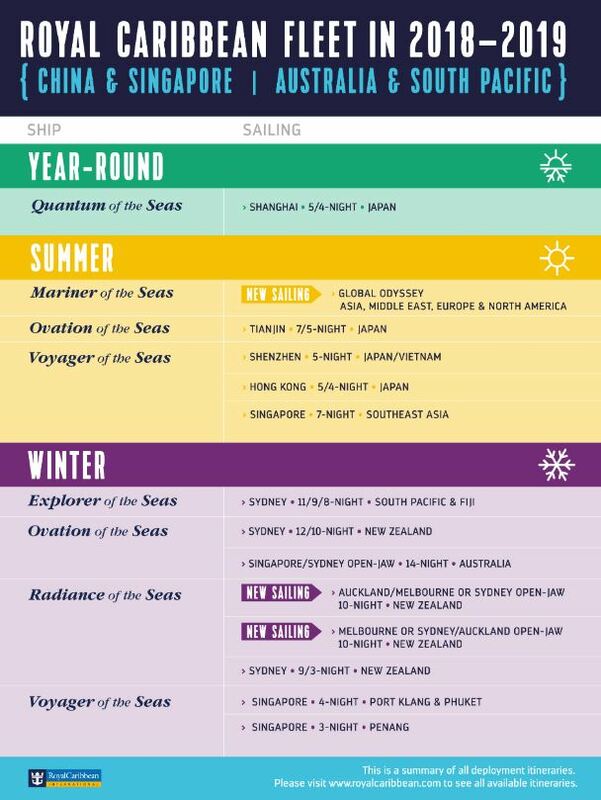 The voyages from China and Singapore are available to book from April 26 and April 27 onwards. The Australia and South Pacific cruises are available to book from May 16 onwards. Pictures courtesy of Royal Caribbean.